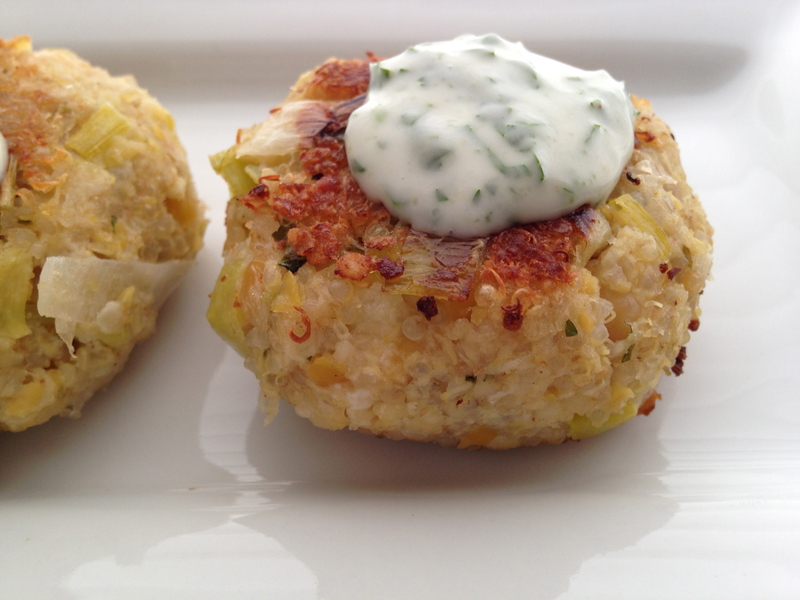 Two recipes: (1) quinoa salad and (2) quinoa croquettes. This can be done with any quinoa combo, by the way. Simply follow the method to make the croquettes and make up a sauce that makes sense with the ingredients. You can do it! 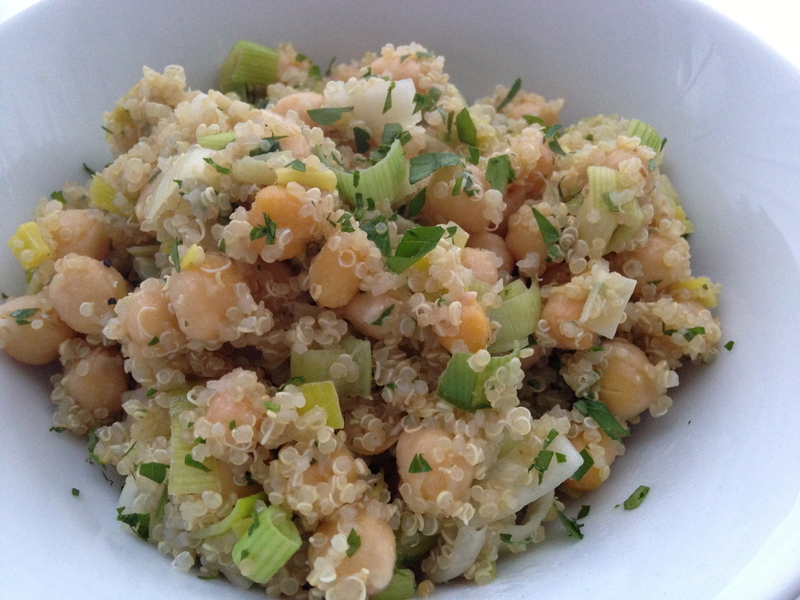 Cook the quinoa and chickpeas, separately. These can both be done ahead of time. Clean the leeks well. Cut in half and then half again and then thinly slice. Pour a small amount of olive oil in a pan and cook the leeks until soft and bright. Season with salt and pepper. Add the quinoa and chickpeas to the cooked leeks to heat through. Chop the parsley. Add parsley (save some for garnish) and season with salt and pepper. Taste and adjust. Top the serving dish or individual portions with the rest of the parsley and enjoy! To make croquettes, place half of the mixture into the food processor and pulse until smooth. Add back to the rest of the quinoa, mixing well. If it is not sticking together, add quinoa flakes or a flax egg. Scoop up the mixture using a 3″ ice cream scooper or your hands and form croquettes. Heat high heat oil like grapeseed or sunflower oil in non-stick pan. Fry until crispy on both sides. Drain on a paper towel. 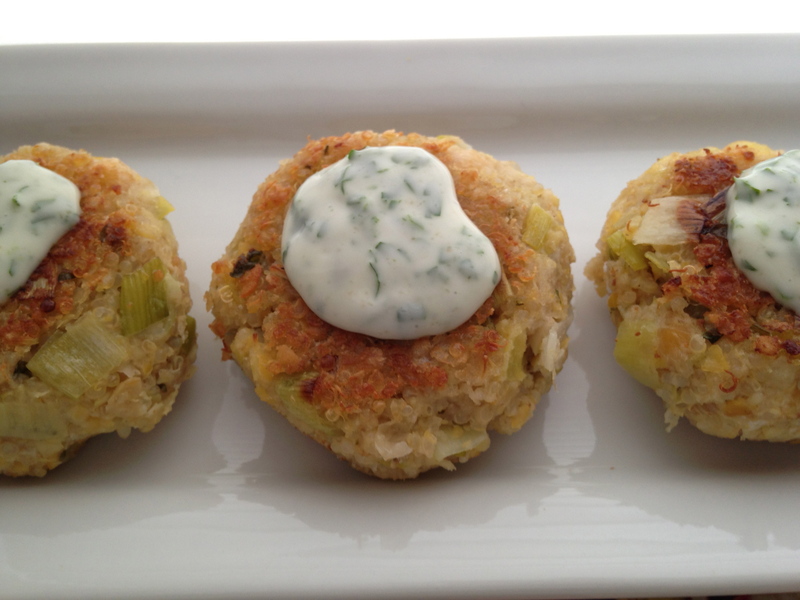 Serve croquettes topped with a dollop of parsley sauce. Enjoy! how many croquettes does this recipe make? depends on the size of your croquettes.